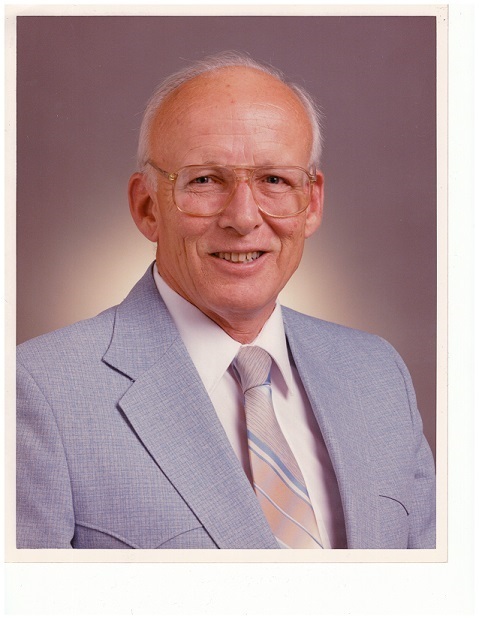 George Lane Stocking passed away on March 30, 2018 after living a long life filled with family, faith, aerospace engineering, the Phoenix Suns, Louis L’Amour novels, country western music, and chocolate. Of all those, we’re sure that he loved his family best but he would have fought you for the fudge and the Sons of the Pioneers tapes. He was born in Nebraska in 1927, enlisted in the Navy during World War II, and married Patricia while obtaining his degree in mechanical engineering at Iowa State University. After a distinguished career designing guidance controls for unmanned spacecraft, he retired and spent all his time and energy with Pat in Prescott and in Phoenix. George was a man of many diverse interests and talents. An avid horseman, student of flamenco guitar, sailing, a one-time Philadelphia Mummer (complete with ostrich feathers, sequins and a banjo), Model A enthusiast and Arthur Murray dance instructor, he excelled in public speaking and sharing his humorous stories. He is survived by his loving wife of 67 years, Patricia; their children, Barbara; George and his wife Mary; Mary and her husband Martin Haub; Elizabeth and her husband Craig Evans; ten grandchildren and five great-grandchildren. George is preceded in death by his parents, George and Dorothy; his sisters, Jean and Jessica, and his beloved son, Patrick. A Mass celebrating George’s life will be held 11 a.m. Friday, April 13th at Holy Cross Catholic Church, 1244 S. Power Rd, Mesa, AZ. Reception will follow. George’s enthusiasm for life was exceeded only by his faith and compassion for those in need. In lieu of flowers, please consider donating to the Little Sisters of the Poor or St. Vincent de Paul Society, organizations he supported for many years. We are so sorry for your loss, but George Lane Stocking lives on through his loving family. A lovely obituary for and outstanding man. He lived life to its fullest. I know he will be missed. Such a legacy of children and grandchildren to be blessed with. He lives on through all of you. May your burden of sorrow and loss be lessened through faith in the Lord and gazing at George’s beautiful grandchildren. Much love from Farmington. One living legacy of George’s is his unique and breakthrough hardware for some American spacecraft. To this day his enabling hardware flies in the space day and night!